Saluton, estas mi Tyson Saner. Welcome to Succotash, the Comedy Soundcast Soundcast. Thank you for making us your destination listening for this next interval in your existence. With all the available choices you have to choose from as far as doundcasts go - or "podcasts" as many people still refer to them - you chose us, and it is an honor. We've got an episode stuffed with content including clips from: My Best Break-Up, Gilbert Gottfried's Amazing Colossal Podcast, Broadway Baby, Mega, A Funny Feeling, and Fear Initiative. We've also got a rare triple Burst O' Durst from raging moderate Will Durst and selected reading from TrumPoetry.com. So much to listen to, so little…uh…well, really there's as much time as there is, isn't there? So let's crack on! Sometimes, the best beginnings start with an ending. Reese Witherspoon and Hello Sunshine bring you My Best Break-Up, hosted by the charming Maeve Higgins and featuring a different break-up story each week. Our clips features Hannah Gadsby, from a recent episode where she explains her deep unease with success, coupled with the invisibility she often felt as a queer, autistic woman. She's made a conscious decision to view the world in a new way - without a filter of shame. Join host Kimberly Schmidt and her husband Jay as they try to transform their friend Alex Fossella from casual theater goer to full-out fan boy. The clip we're featuring is from the show's pilot, where Kimberly and Jay explain Alex's first homework assignment: The cast album from Hair. This soundcast is an improvised satire from the staff of a fictional mega church. Starring show creators Holly Laurent and Greg Hess as hosts Hallie and Gray, the clip we have is this past January and guest stars Edgar Blackmon (Alone Together, Popstar) as Edward Blackthorn who's talking sports, Game of Thrones, and falling in love. Every episode of GGACP, host, comedian and actor Gilbert Gottfried, along with co-host and fellow pop culture fanatic Frank Santopadre, welcomes an astounding guest from the business of show. Our clip from a recent episode features guest Joel Grey, talking about being Joel Grey! Hosted by comedians and paranormal enthusiasts Betsy Sodaro and Marcy Jarreau, A Funny Feeling, invites the hosts' comedian friends and celebrity guests to tell their true paranormal experiences and hear spooky stories submitted by listeners. A clip from Epi69, entitled NorCal Mysteries, features guest storyteller Jessica Jardine, discussing her Northern California upbringing with stories of serial killers and the Winchester Mystery House. A weekly horror role-playing game podcast, Fear Initiative features Game Master David Ian McKendry as he takes players Morgan Peter Brown, Cara Mandel, Jeff Seidman, Megan Duffy, Rob Schrab, Josh Forbes and Clarke Wolfe on a weekly horror inspired RPG adventure. Our clip is from the very first episode from August of last year, when the FI crew comes together seemingly by accident, meeting late one night at a tavern. So again, thank you for listening and if you wouldn't mind taking a little time out to rate and review us on iTunes we'd be forever grateful because in addition to telling others about us, the iTunes rating is another form of "word of mouth" that might even land us a real sponsor someday... one can dream. 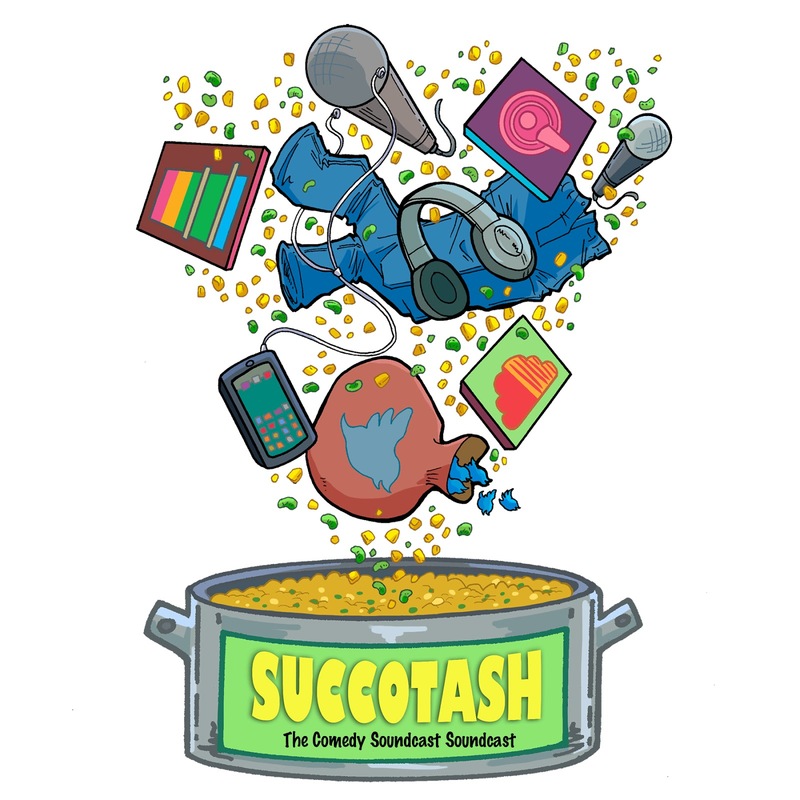 Good night, and until next time won't you please, pass the Succotash?